This 16" high Smoker's Outpost commercial wall-mount aluminum cigarette disposal has a space saving bracketed design, allowing it to be position on columns, walls, or other flat surfaces. Constructed out of powder-coated aluminum, this low maintenance receptacle can be easily cleaned with soap and water. Features a unique oxygen-restricting design used to smother cigarettes quickly without the use of sand or water, catching up to 500 butts in the bottom tube. 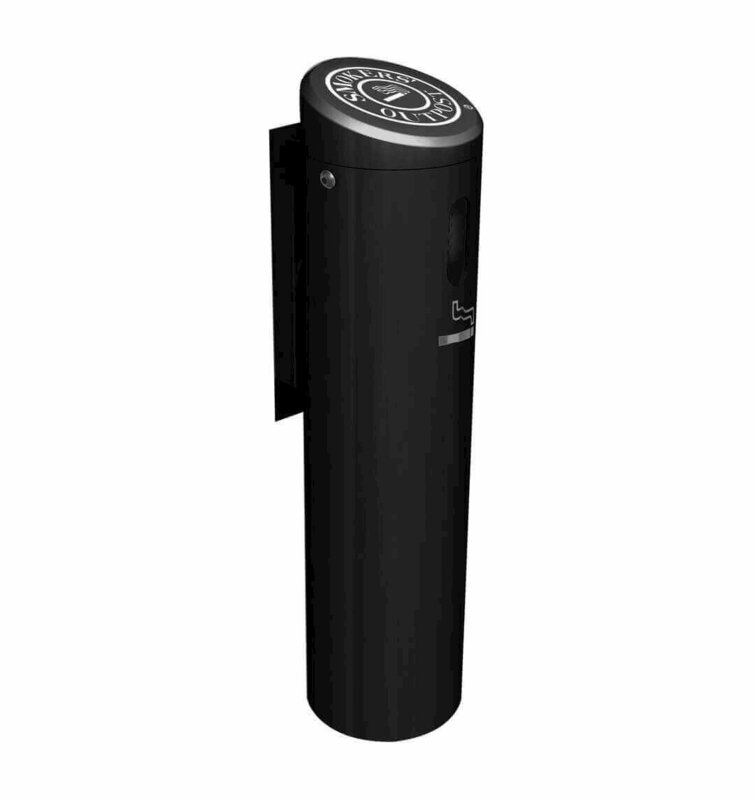 Easy to clean by simply releasing the unscrew top from the base and empty the tube without touching cigarette litter. Optional security cable kit available to secure units at locations. Our cigarette snuffer is backed by a 1-year commercial warranty. • Dimension: L 4" x W 4" x H 16"